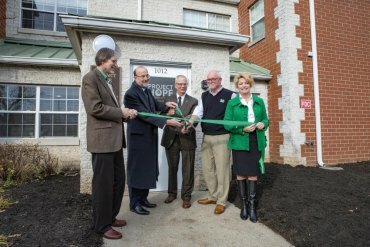 HUNTINGTON, W.Va. – Marshall Health officially opened Project Hope for Women and Children, a new residential treatment option, with a ribbon-cutting ceremony and open house. Located at 1012 Seventh Ave. next to the Huntington City Mission, Project Hope for Women and Children offers a safe living environment for new and expectant mothers suffering from substance use disorder and their children. The project also provides women with the treatment and recovery resources necessary to facilitate long-term well-being. The newly renovated, 15,000 square-foot facility features 18 single-family apartments that include two or three bedrooms, one bathroom, a living room and kitchenette. Shared laundry facilities are also on site, and support staff are available 24/7. This latest addiction recovery initiative complements existing local projects, such as Healthy Connections, Cabell Huntington Hospital’s Maternal Opioid Medication Support (MOMS), Marshall Health’s Maternal Addiction Recovery Center (MARC) and Lily’s Place. 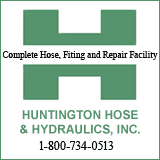 Project Hope will largely rely on referrals from these programs as well as the Huntington City Mission and PROACT. Other services, such as medication-assisted treatment, job placement and training and spiritual counseling, will be delivered in outpatient locations including PROACT, which opened earlier this year at 800 20th St. in Huntington. Project Hope residents will also have access to medical and psychiatric care through Marshall Health. Project Hope has also brought 15 new skill-based jobs to our region, Hammers said. The project is funded by grants from the U.S. Substance Abuse and Mental Health Administration, the West Virginia Department of Health and Human Resources and private donors, including Cabell Huntington Hospital, St. Mary’s Medical Center, Capitol Business Interiors, HIMG, Huntington City Mission, The Health Plan, The Huntington Foundation, Marshall University leadership, Maxor, Valley Health and Walmart. For more information, please contact Project Hope Director Jessica Tackett at 304-696-HOPE (4673).